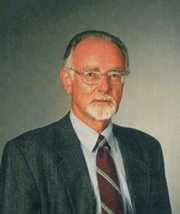 Dr. Martin Bente, born 1936 in Strasburg/Alsace, studied in Kiel (1957–60) and from 1960 onwards – as a beneficiary of the German National Academic Foundation – read musicology, Protestant theology and the auxiliary science of history in Tübingen. In 1966 he earned his doctorate with a thesis entitled “Neue Wege der Quellenkritik und die Biographie Ludwig Senfls. Ein Beitrag zur Musikgeschichte der Reformationszeit”, for which he was awarded first prize by the Faculty of Philosophy at the Eberhard-Karls-Universität in Tübingen. Subsequently he worked as a research assistant there. Bente’s dissertation brought him a research grant in 1968 from the German Research Foundation (DFG) to develop a new catalogue of the music manuscripts in the Music Collection at the Bavarian State Library in Munich (published in 1989 forming part of the series “Kataloge Bayerischer Musiksammlungen”, Volume V,1, by G. Henle Publishers). Bente’s freelance academic work for Friedrich Blume at the “Répertoire International des Sources Musicales” (RISM) as well as for the “MGG” familiarized him with the editorial and copyediting work of a music publishing house. On Blume’s recommendation he came to G. Henle Publishers in 1969, first as CFO, then, following the death of Günter Henle in 1979, as head of the publishing house. He retired in 2000 and has continued to hold honorary posts since then.